Data science has become a hot topic over the last few years. From airlines to sports, everyone is realizing the potential insights data can provide to make decisions quicker and better. 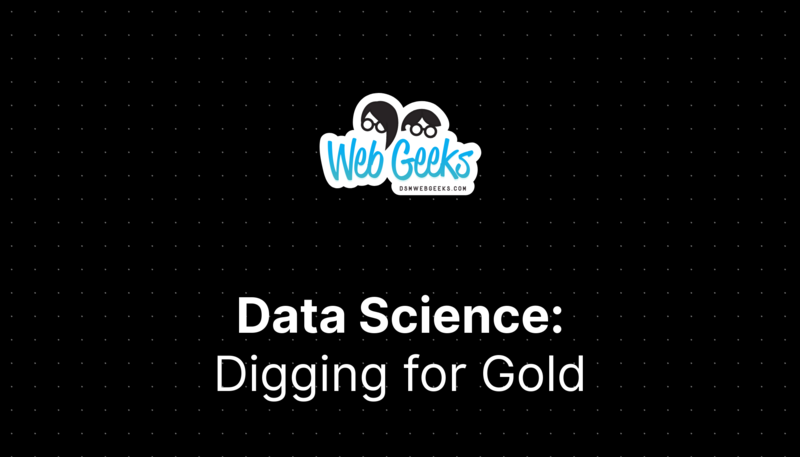 At this lunch event, Shalyn Guthery will cover at a high-level what it means to be a data scientist and the skills that will help you comb through your data to find those gold nuggets. Join us at 12pm on Wednesday, February 20th at Source Allies for this lunch event. Food and drink will be provided, so please RSVP on Eventbrite or Meetup! You can find Shalyn’s presentation here. Shalyn Guthery is an experienced data scientist skilled in Python, Bioinformatics, Agile Methodologies, Machine Learning, and Big Data Analytics. She is in her second year of consultancy with Source Allies. Source Allies is a technology services company based in Des Moines, Iowa with a proven track record of working with our clients to solve tough technical problems and deliver high quality software solutions. Thanks to Source Allies for providing the venue and lunch! Learn more about Source Allies here: https://www.sourceallies.com.